With the increased popularity of the American TV series Outlander the Estate is experiencing increased interest in Midhope Castle which is located on a private area of the Estate near Abercorn. 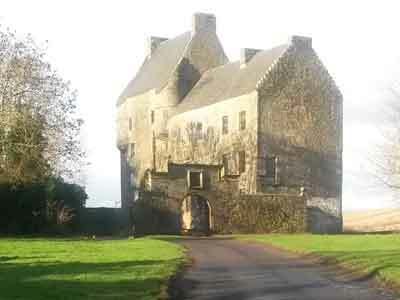 The castle, known fictionally as ‘Lallybroch’, is used as an exterior film location during both Season 1 and 2. Hopetoun grants public access to the exterior of the castle but all visitors must adhere to some guidelines and obtain a vehicle pass to visit. As the castle is located in a very busy farming area of the Estate access may be denied on some days safety reasons. For all visitor information including dates when public access is prohibited please visit our Outlander at Hopetoun page.